Dorr Felt started his first prototype during the US Thanksgiving holidays of 1884. 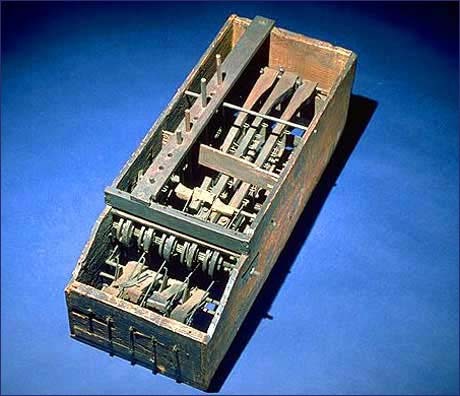 Because of his limited amount of money, he used a macaroni box for the outside box, and skewers, staples and rubber bands for the mechanism inside. It was finished soon after New Year's Day, 1885.